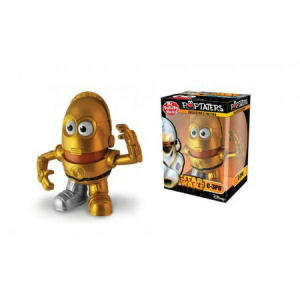 We have Just Sold out of Star Wars C-3PO Poptaters Mr. Potato Head. This Item is unavailable at present. From the Star Wars collection by PPW Toys. Star Wars C-3PO Poptaters Mr. Potato Head. Mr. Potato Head figure that includes tons of extras and interchangeable parts. Measures approximately 6 inches tall.